A Moomin film, based on my favourite Moomin book Comet in Moominland and in the style of the Polish stop motion series from the 70s/80s is premiering at Cannes! It looks BEAUTIFUL. The article I’m linking to here is in Norwegian and the video is the Finnish trailer. The English trailer is online but..um, I didn’t like the voice acting. I would wait for the Norwegian version to come out (not that the voice acting will necessarily be better!) but it won’t be released til October/November according to this article. I can’t wait that long!! Anyway, I am excited! “You don’t have to make a speech about it… I’ll do the job.”. 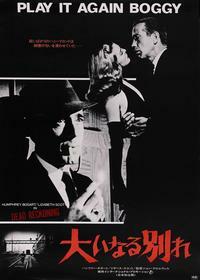 Do you like Humphrey Bogart? If so you should definitely check out Danny’s new tumblr page. He’s uploaded lots of unreleased Bogart films, you can watch the trailers and download the films or watch them online!